Create Maximun Exposure With a Minimum Amount of Risk! What is a featured listing? A featured listing will give you maximum online exposure in order to generate leads, traffic and direct sales via BookYourDive. Besides the fact we will feature your operation systematically via our social media pages we will add your contact details to your profile page including links to your social media pages like Facebook and Twitter and soon TripAdvisor too. Featured listing will be "locked within the first 3 search results in a specific region on BookYourDive. Operators with costumer reviews will rank better then competitors who do not have any reviews published. 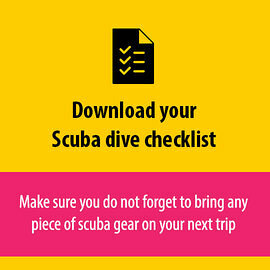 We will promote your dive operation twice a month on our Facebook pages using photos you choose. A featured listing will create maximun exposure with a minimum amount of risk. You will be within the top 3 search results for the region you operate in. We offer partners with an upgraded profile the exclusive right to guest blog on our blog. A visitor can click through to your website. A visitor can send you a direct e mail. A visitor will be able to visit your social media pages in 1 click. 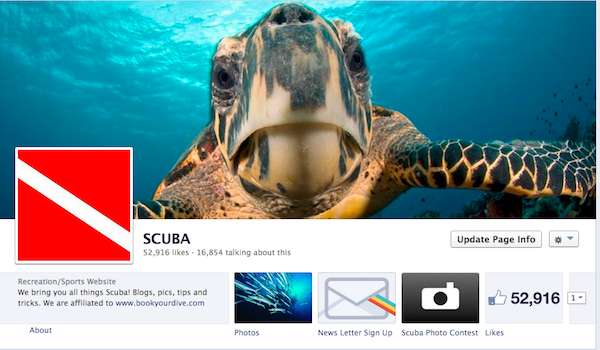 Our Facebook pages have a total 50K+ scuba fans? Our pages grow with 500+ fans per month? Packages promoted on our Facebook pages reach up to 10.000 scuba divers? Guest blogging will benefit your SEO and will generate direct (social) traffic to your website? Featured listings are limited available. We offer an upgrade now for $15 per month which can be terminated at any given point. Save $30 per year and pay $150 up front and unleash the full power of bookyourdive for a whole year. Choose your plan in the Paypal drop down menu below. Click "Buy Now" and you will be redirected to the secured servers of Paypal. You can enter your credit card details and make the purchase. As soon as the payment is made we will receive a notification and will then send you a personal e mail with the link to your profile page. If you are not able to create a Paypal account please [contact us] (. We will then send you an invoice for the yearly plan. Upgrade to a featured listing now! Click here to be forwarded to our sign up page where you can secure your featured listing by choosing a plan. After you have chosen your plan you click the buy now button. You will then able to pay with credit card using PayPal. Please contact us if you are not able to pay with PayPal. For now only 25 operators can upgrade to a featured listing. In 2 to 3 weeks from now we will offer all our partners the option to upgrade. As said there are only 3 slots per region available, first come first serve. Claim your spot today before your competitors do. We do not work with longterm contracts. The monthly subscription can be terminated per day. Just send us an e mail and we will cancel your subscription immediately. We look forward to hear from you soon. If you have any questions please do not hesitate to contact me. Rutger Thole is an avid scuba diver and loves to travel, dive and write about scuba diving. Based in Amsterdam he runs bookyourdive.com and at least twice a year he plans a dive trip of the beaten track.